Africa; beautiful, serene ... and often, deadly. Lives and fortunes change in the blink of an eye. Now that she is alone, volunteering at a school in the Central African Republic of Ducana seems like everything schoolteacher Ellie Hathaway needs. Here is the opportunity to get away from the sleepy Cornish village where recent tragedy still haunts her and with it comes the chance to help the children's charity her friend has worked so tirelessly to promote. But dark forces and ambitions are in play long before Ellie’s arrival in the dusty town of Limba. Even as she begins to believe she can at last find true happiness, she realises that something at the school is very wrong. Is this really the place of loving and giving she had first thought it to be, and is headmaster, Gabriel Cole, really their guardian angel? There is a clarity to Unsworth’s writing that underlies the tension and suspense of her brilliant storyline. Rather than relying on explosions, chases, and high impact situations the author approaches suspense in a much more subtle manner. Intrigue and conspiracy rule the day, making you think and drawing you in. Throughout this her writing remains low key and natural throughout. It actually suits the personalities of the main characters and allows the story itself to shine through. Unsworth’s writing style and skill as a story teller shine through in her descriptions and narrative. This story is based in an intricately built world that is gradually developed to create a phenomenal whole where you can actually see the intersections between the different parts. The gradual development gives a very solid feel to the whole. You can picture everything as it comes at you, as opposed to trying to sift through a large amount of description all given at once. This novel takes place over a rather large span of time, but yet you don’t feel like you’re missing anything. Nothing ever feels rushed, forced, or missing. The jumps in time are smoothly done in such a manner that the reader is lead to believe that life continued as per usual in the interim. Unsworth also switches perspective between characters throughout the novel. By doing so she also gives a more rounded view of what’s going on. These changes in perspective are clear and don’t break the flow of the story. In actuality, they draw the many facets of the story together. They also show the contrast between the various different regions and cultures that the readers encounter throughout. As a reader you experience a complete cultural immersion into more than one culture. 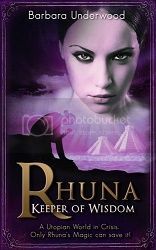 Unsworth creates real characters and she develops them in a realistic manner. You don’t know everything about them, but rather, you get to know them like you would your neighbours. The various sub-stories give you insight into the characters. As a reader, you really get to know the characters as you get into the story. You begin to feel for them (well, most of them) because they really are wonderful characters. I also appreciate that each character’s dialogue stays true to their own speech patterns and dialect. It adds a consistency and extra layer of realism to the story and the characters themselves. The variety of characters and how they meld together into an amazing cast is absolutely brilliant. No one steals the show yet at the same time, no one gets pushed to the shadows. Overall, this was a brilliant debut novel by Unsworth. I feel like I’ve been to parts of the world that in reality I’ve never seen and I’ve fallen in love with her characters. I can’t wait to read more of her work in the future. And don't forget to enter the giveaway for this amazing novel while you're here! Entries close at 11:59pm Monday July 15/13. Winners will be announced Tuesday July 16/13. 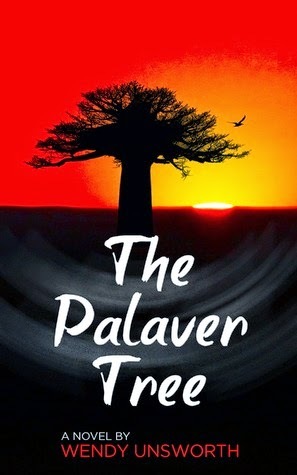 Thank you for taking the time to look, Chundra - it has been a very rewarding few days with lots of interest in The Palaver Tree. It is so nice of you to leave a comment and to know that there are people out there looking!